Reggie Barlow’s Virginia State, powered by Trenton Cannon, stay perfect and move up in power rankings. Week Five: the portion of the football season where separation starts to occur. After four weeks of football, we’ve got three undefeated HBCUs, nine winless HBCUs, and a wide middle. One of the three teams currently perfect is Virginia State, who improved to 3-0 after a heart-stopping overtime win over CIAA rival Winston-Salem State on Saturday. For the unfamiliar, VSU is led on the field by Trenton Cannon, who is in the running for best running back in ALL of HBCU football along with Grambling’s Martez Carter, Howard’s Anthony Philyaw and Alcorn State’s De’Lance Turner. A 5’10, 185 pound senior from Hampton, Cannon has been shredding CIAA defenses since he arrived in Ettrick in 2015, and after rushing for better than 1,200 yards last season, appears to be poised to have his best year yet. Going back to last season, Cannon has registered 200-plus all-purpose yards in his last seven games, and nine of his last 10 overall. That includes a tough 2016 Tuskegee defense and FCS Norfolk State to open this season. VSU’s coach is a name familiar in HBCU circles: Reggie Barlow. The former Alabama State star-turned-NFL player-turned college coach has revived his career after being fired by his alma mater in 2014 despite a solid record. 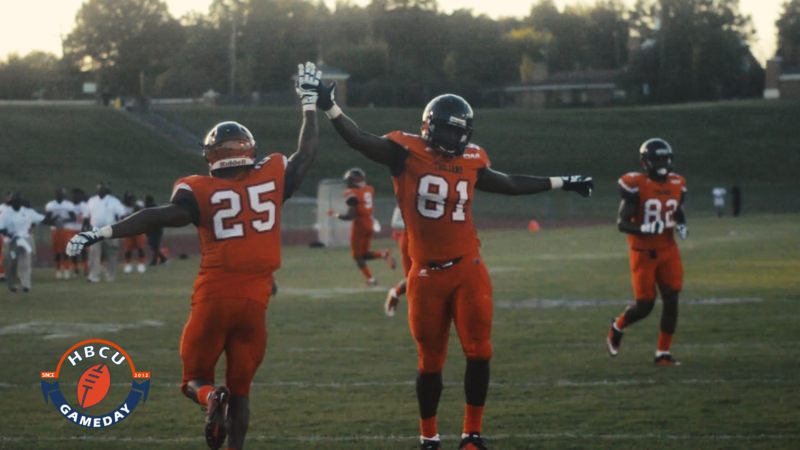 He is now 12-2 at Virginia State and his team could soon find itself ranked if it keeps it up. We’ll have more on Cannon and Barlow another time, but for now, let’s get into the rankings. Let’s be honest, the Aggies schedule hasn’t been the most demanding. Their first four opponents are a combined 2-12, and both of those wins have come via D2 Mars Hill. Still, the Aggies have shown up and shown out every week, and until they are beaten, it’s hard to pick anyone else. This week’s game should be more of a challenge as they travel to Orangeburg to take on rival South Carolina State. 2. Tennessee State (3-1): After a 3-0 run to start the season, TSU suffered its first loss of the season against Ohio Valley Conference opponent University of Tennessee-Martin. Welcome to the OVC! 3. Grambling (3-1): It wasn’t as smooth and pretty as they would have liked but Grambling got the win 38-6 over Mississippi Valley State to win its third straight. The injury bug will be something to watch against Clark Atlanta this week as quarterback DeVante Kincade is listed as day-to-day. 4. North Carolina Central (2-1): The streak is alive as NCCU managed to come back from a 21-7 deficit for a 33-28 win on Thursday night. The young offense will take its show out of Durham for the first time this weekend as it takes on FAMU in Tallahassee looking for its 17th -straight MEAC win. 5. Howard (2-2): The Bison bounced back from an ugly loss to Richmond with a sweet win at home over Bethune-Cookman, led by freshman sensation Caylin Newton. HU has a week off before a matchup with possible MEAC title implications against North Carolina Central. 1. Bowie State (4-0): The Bulldogs just keep on rolling as their offense seems to break records every quarter. After a ridiculous debut in 2016 where Amir Hall broke CIAA passing records and threw for 30 touchdowns, he’s been even better in 2017, throwing 17 touchdown passes and no interceptions through four games. He’s come up with a total of 14 touchdowns rushing and passing in the past two games. 2. Virginia State (3-0): As mentioned above, VSU has been on fire to start the season, beating its in-state, Division I rival in Norfolk State and its CIAA nemesis in Winston-Salem State. The challenge now for VSU is to stay focused against Livingstone and Elizabeth City State ahead of its homecoming showdown against Bowie on Oct. 14. 3. Clark Atlanta (3-1): CAU managed to bounce back from a bad performance against Tuskegee with a solid win on the road against Lane. It will be in for a major challenge this week, however, as it faces defending HBCU national champion Grambling State in the Chicago Classic. 4. Winston-Salem State (2-2): The bad news for WSSU is its loss to VSU dropped it to 2-2. The good news is the schedule gets significantly easier from here on out, as its final six opponents are a combined 3-21. But as a six-time defending CIAA Southern Division champion, you can bet that every team on the schedule will give its best shot. 5. Albany State (2-2): The darlings of the first two weeks of the season took another hit last weekend when it lost to a tough West Georgia team to fall to .500. But like WSSU, the hard part of its schedule is pretty much done.